Fresh week, fresh bunch of frocks to share with you all, all in the name of raising vital funds for Ovarian Cancer Research. If you’ve missed my first nine frocks you’ll find them all here. 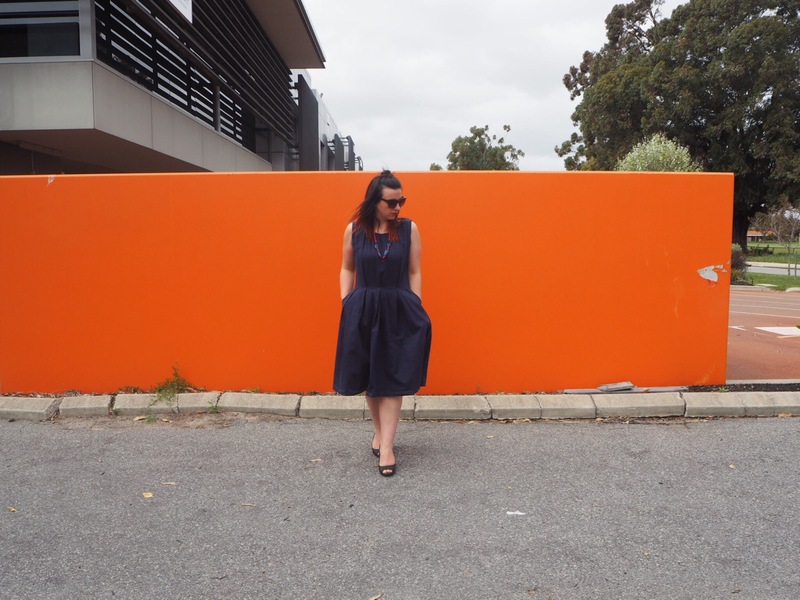 If you’re new to the blog I’ll give you a quick intro to Frocktober. Frocktober is a month long fundraiser for the Ovarian Cancer Research Foundation (OCRF). Every day this month I’ll be donning a frock, documenting said adventures and raising much needed dollars for Ovarian Cancer Research. 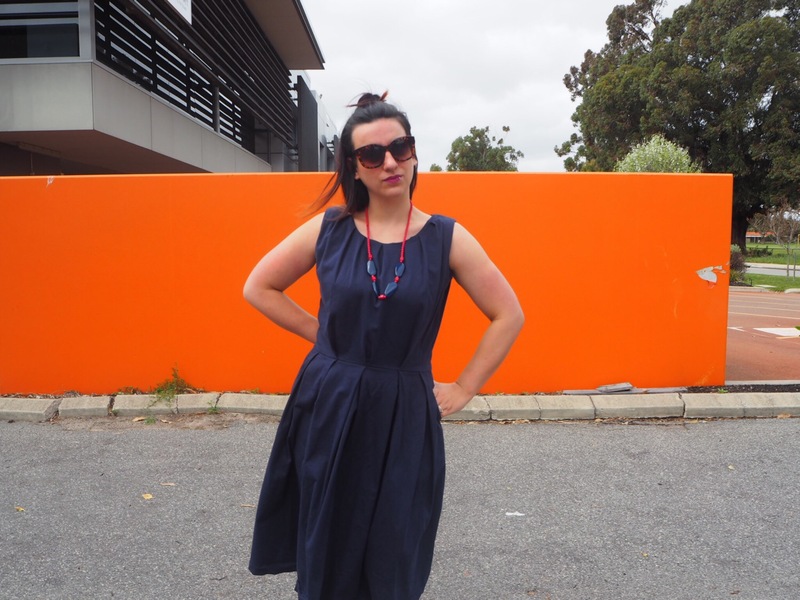 This is my third year participating in the Frocktober fundraiser, and my second year as an ambassador and face of the charity. Frocktober is a philanthropic campaign accessible to all Australians passionate about women’s health. All funds raised are distributed as scientific grants to dedicated ovarian cancer researchers in Australian and New Zealand hospitals, universities and research institutes. If you want to donate to the OCRF every cent counts. Plus it is tax deductible end of financial year! So as I said, it’s a fresh week, and this one is going to be another busy one for me. As well as work (where this gorgeous frock will take me today), I’ve got a lot of errands to run this week, including a few Frocktober errands for our Frocktober Fashionable Afternoon Tea on October 22 at Jonté Design Studio in Perth. It’s been so crazy planning a charity event and I’d love for my Perth readers to attend. Tickets are only $15 and cover food and drinks at the afternoon tea. It’s set to be an amazing day filled with fashion, styling sessions, auctions for divine prizes and much much more! To purchase a ticket and read more about the event click here. 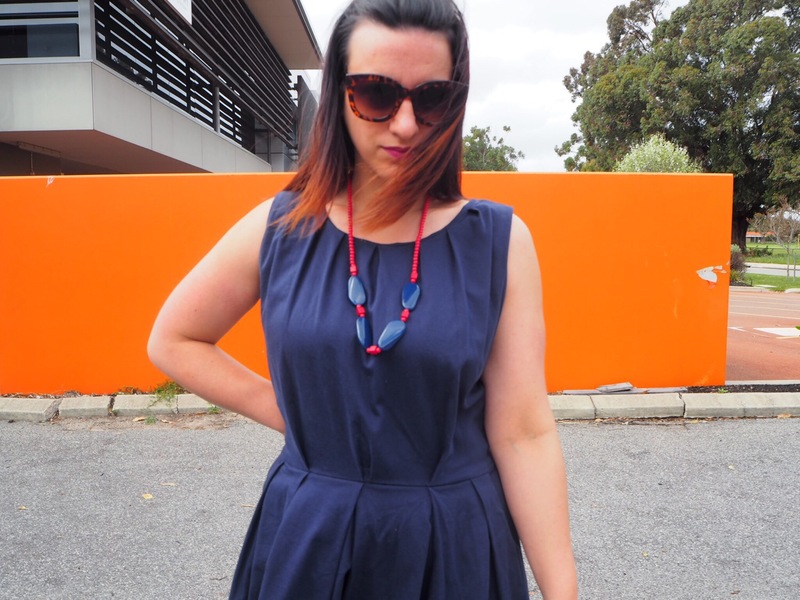 Today’s frock for work and play is another AVA beauty. 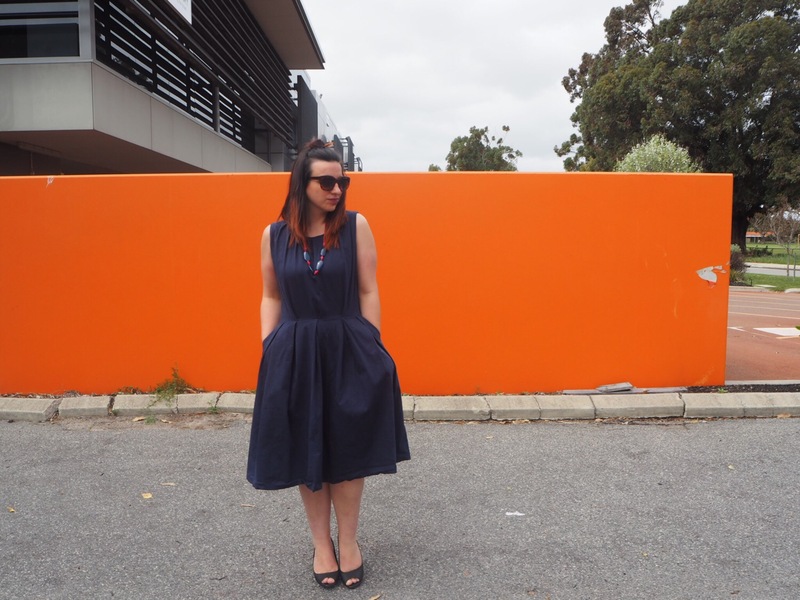 The fifties style midi is a firm favourite in my wardrobe and I feel like such a lady whenever I pop it on! AVA’s Spring collection is absolutely divine and if you want your own AVA frock you can shop them here. Have a beautiful Monday! I’m off to the gym this morning, then frocking up for another afternoon in the office. Oh, this is just beautiful !! Love this one. It’s a favourite !